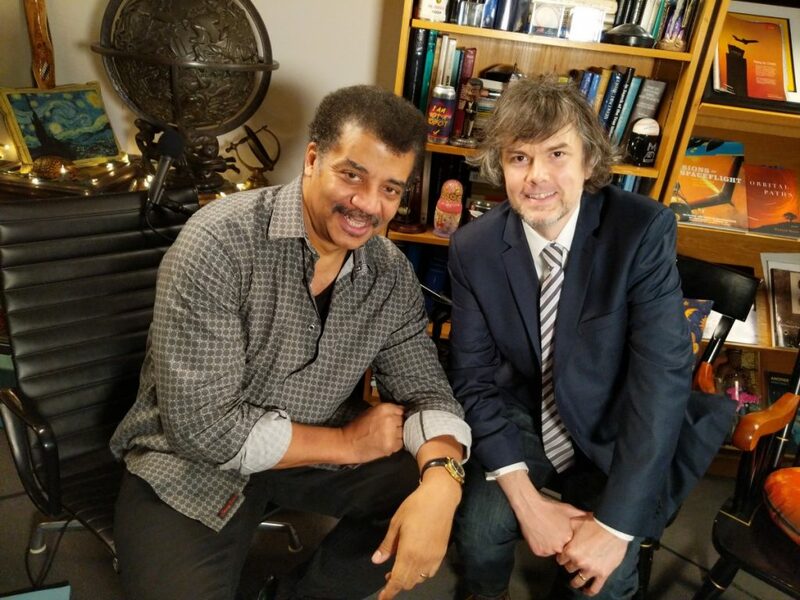 Yesterday, I joined Dr. Neil deGrasse Tyson and Chuck Nice to record an episode of Startalk Radio about Science Fiction and Society. I’ll let you all know when it is available. In the meantime, I would recommend that you subscribe to the Startalk Radio podcast and listen to past episodes. The show covers a lot of interesting topics that help you learn more (and prepare for your appearance on Jeopardy!). As I’ve mentioned before, City Tech’s long-running Literary Arts Festival is being held tonight. The LAF begins at 5:30 and runs for about an hour and a half followed by a reception in the lobby. Awards will be given to students for their writing, and the invited poet Jose Olivarez will give a reading and speak with students afterwards. This is a tremendous opportunity to learn about the writing your fellow students are doing and being recognized for, and a chance to meet a prestigious writer. To incentivize your attendance at the LAF, which is being held in the theater of the new Academic Building, those of you who are interested in going may leave around 5:00pm, but you’ll need to do something to earn bonus points for your attendance: write at least 250 words describing what you see, who speaks, and what the experience is like for you. You might focus on some of the student writing that gets shared, or Olivarez’s reading. You might describe the experience of being in the new Academic Building’s theater. As long as you write about your attendance at the LAF and email it to me before our next class, you will earn bonus points (I’ll apply them where you need them–they could replace an after-class writing assignment or they might boost your final exam score, for example). You don’t need to stay for the whole event, but if you leave early, choose where you sit strategically to avoid any interruptions when you step out. After today’s class, write and post at least 250 words summarizing your reading and our lecture of the selected reading from Marie Hicks’ Programmed Inequality. Think about how the feedback loop of humanity creates technology and our technology influences humanity. If one slice of humanity is over-represented in the production side of this feedback loop, what effect might that have? Due to an off-campus appointment, I am cancelling office hours for Wednesday, Apr. 17. I will have office hours on Thursday, Apr. 18 from 2:30-3:30PM and by appointment (email Prof. Ellis at jellis at citytech.cuny.edu). After today’s class, write at least 250 words summarizing today’s reading by Nofre, Priestley, and Alberts. Think about how this article about programming languages relates to our earlier readings on spoken/written languages. As we approach the end of the semester, it is absolutely important to your success to take some time for self care. 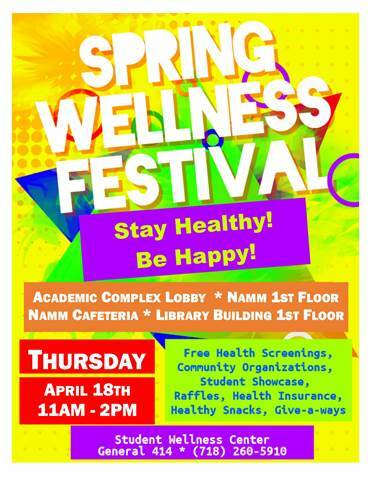 As you can see in the poster above, there’s all sorts of things going on during Club Hour next week to help you be physically and mentally healthy. I highly recommend that you check it out. Also, I recommend folks visit City Tech’s Counseling Services for advice and support whenever they might need it. Details are available here. After today’s class, write at least 250 words summarizing your reading and our lecture on Anil Dash’s “The Lost Infrastructure of Social Media.” You can include your own experiences with some of the lost infrastructure that Dash laments in his essay. Also, I wanted to remind everyone to do a personal, self-assessment of your progress in the class. If you need help with this, please see me during class’ studio time or during my office hours. First, you can check how many After Class Writing Assignments you have completed by going to the Dashboard > Comments > search for your username. Compare those you’ve completed with the reading schedule on the syllabus. If you’ve missed any, complete them as soon as possible and send an email to Prof. Ellis explaining which assignments you have completed late. Of course, use only your own writing unless properly citing outside sources using APA Style. Second, if you didn’t receive a full score on your research project proposal, please revise it and give a copy to Prof. Ellis to confirm the revisions (refer to the notes written on your original draft). Third, you should be reading, taking notes, and beginning your initial writing of your language and technology research project. I would suggest writing an outline similar to the one discussed in class and available on the Project 2 page linked above. You can add to or subtract from your outline as you conduct your research, and you can use the outline to begin your essay–essentially, filling in the blanks. You can improve the style and flow of your essay later. The important thing now is to begin putting words on the page and citing your sources. Since we’ve entered the New Media phase of our class, I would like to direct your attention toward a new group of opinion pieces published by The New York Times under the umbrella title of The Privacy Project. It is important reading for everyone, and it might provide a source or two for some of your research papers. If you haven’t activated your free New York Times online subscription, you can go here and sign-up with your City Tech email address.